General Assembly concludes 2018 veto session. The November 2018 veto session came to an end on Thursday, November 29 with final actions on many bills vetoed by Gov. Bruce Rauner. Some of the vetoes were overridden; however, many of these veto actions were allowed to stand after sponsors could not gather the three-fifths majorities of both houses required for an override. 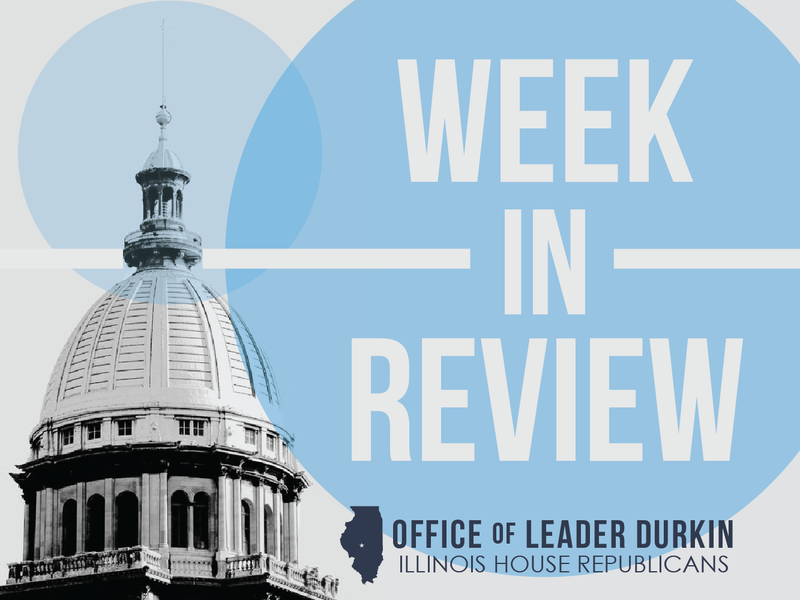 This was the final week available for a House or Senate bill sponsor to submit a motion to override a veto and have the motion called on the floor of the General Assembly, so the remaining vetoed bills are now all dead for the year. The General Assembly website includes a bill-by-bill set of sub-pages to let Illinoisans know what happened to the individual legislative bills and other measures they may have been following in veto session. The House will re-convene on Monday, January 7 for what are scheduled to be two days of final work to wrap up the duties of the 100th General Assembly. Dates of 2019 spring session announced. Simultaneously with the adjournment of the November 2018 veto session, the House announced its schedule for the 2019 spring session. 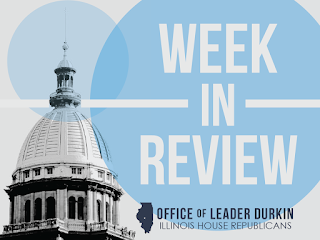 The new 101st Illinois House of Representatives will convene on Wednesday, January 9, for its members to take their oaths of office. The new session will be an opportunity for House members to file bills on issues of importance to their constituents. As in previous years, bills will have to pass through the House Rules Committee and through a substantive committee in order to be heard on the House floor. Various spring 2019 deadlines have been posted on this schedule for House committee actions on House and Senate bills, and persons interested in 2019 legislative action will be filing their bills early for prompt action next spring. House Recognizes Accomplishments of Departing Members. With the 100th General Assembly nearing its end, House Republicans honored their departing colleagues with brief floor comments on Thursday, November 29th. Illinois unemployment rates rise in some metropolitan areas; new jobs created. The Illinois Department of Employment Security (IDES) reports that October 2018 Illinois jobless rates rose slightly year-over-year in many Illinois metropolitan areas. Unemployment rose slightly in twelve of Illinois’ fourteen statistical metropolitan areas. The increases covered many of Illinois’ Downstate communities such as Champaign, Rockford, and the Quad Cities. In sharp contrast to this increase was a statistically significant twelve-month decline, from 4.8% to 3.9%, in the unemployment rate posted in the greater Chicago area. The Chicago-Naperville-Arlington Heights area, which is treated as one metro unit for job-tracking purposes, includes both Cook County and DuPage County. The IDES’s new report had some good news for communities beyond Chicago. Overall nonfarm payroll employment is up throughout Illinois, including areas where the unemployment rate is up as well. Healthy economic conditions have encouraged new Illinois workers to join the labor force and look for jobs. In October 2018, Illinois’ fourteen key metro areas supported more than 6.2 million payroll jobs, reflecting an overall atmosphere of prosperity in many parts of the State. More than 60% of these jobs, 3.8 million, were located in Chicago-Naperville; but there were also net new jobs created over the preceding 12-month period in Champaign-Urbana, the Quad Cities, Rockford, and other smaller metro areas throughout Illinois. The IDES report was published on Wednesday, November 21. Continued growth in video gaming. A report published by the Commission on Government Forecasting and Accountability (CGFA) finds major growth in Illinois video gambling over the past three years. The report found net income from video gaming has increased by 75% over the three-year period from FY16 through FY18, the fiscal year that ended on June 30, 2018. The subset of games covered by this category include the familiar electronic machines that do business in many taverns and gathering places. As of June 2018, the Illinois Gaming Board reported licensing 29,283 of these machines throughout the state, with an average of 201 new terminals licensed in each month of FY18 in addition to the machines already in operation. Illinois video games took in a taxable net income of $1.4 billion during FY18. Income from the games is taxes for local and State governmental purposes. The “state share” of video gaming tax revenue, $351 million in FY18, is set aside for capital spending on roads, bridges, school buildings, and other essential items of State infrastructure. The local governments that allow video gaming within their corporate limits are allowed to also collect a tax, and $70 million from this source was distributed to cities, villages, and counties in FY18. Observers believe that video games could be gaining market share from more traditional forms of gambling such as riverboat casinos and horse racing. Revenue streams from these older forms of gambling, unlike the revenue stream from video gaming, were stagnant in FY18. The CGFA report, “Wagering in Illinois: 2018 Update,” covers riverboats, video games, horse racing, and the Illinois State Lottery, with hard figures on cash-flow numbers brought in during FY17 from these sources coupled with an examination of future prospects and trendlines. Sanctuary counties. At least 39 Illinois counties have declared themselves to be “gun sanctuary” counties. These counties have adopted resolutions or ordinances that express support for gun owners’ rights under the federal Second Amendment within the Bill of Rights. Proponents of local actions of this type believe that many state and federal gun actions, including “gun control” laws that have been passed or could be passed by the State of Illinois, are unconstitutional. Some observers believe that one of the primary current purposes of ordinances and resolutions like these is to express strong local support for the Second Amendment, as Illinois has not passed very many laws that politically active firearm owners believe to be a serious infringement of their rights. 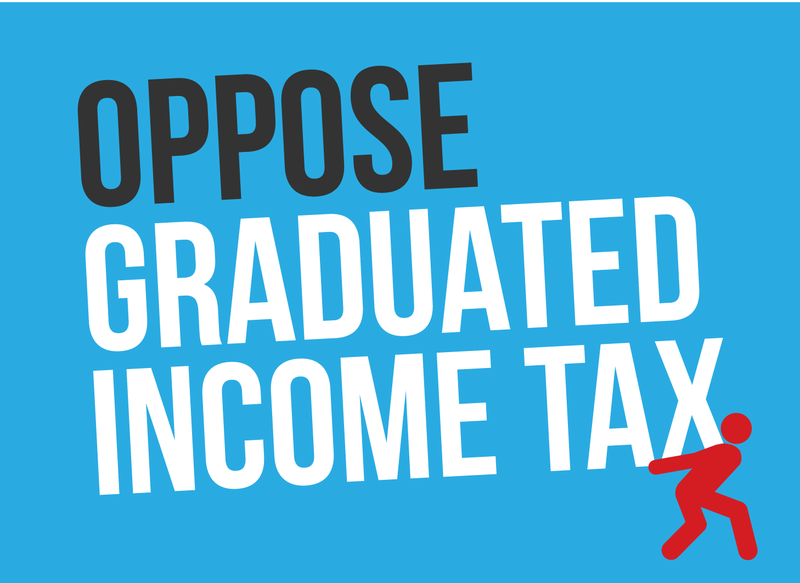 The actions could be seen as serving notice of a strong intent to oppose the enactment of laws of this type should these proposals come up in Springfield or in Washington. Counties that have passed “sanctuary county” measures include heavily-populated Downstate counties with hundreds of thousands of diverse residents, such as Madison County in southwestern Illinois (population 269,282). Duck hunting season opened. On Thursday, November 22, the Illinois Department of Natural Resources (IDNR) opened the South Zone fall duck hunting season. Open for outdoor activities are the trophy wetlands of Mermet Lake, Horseshoe Lake and the Union County Refuge in far southern Illinois. Observers responded to the season opening with prediction of a banner year in the South Zone. Duck hunting had already opened in the Central Zone and the South Central Zone. Duck hunting will continue in all three Illinois zones until January 31, 2019. Bacterial meningitis on college campuses. Meningitis B outbreaks occurred once again this fall in U.S. colleges and universities. 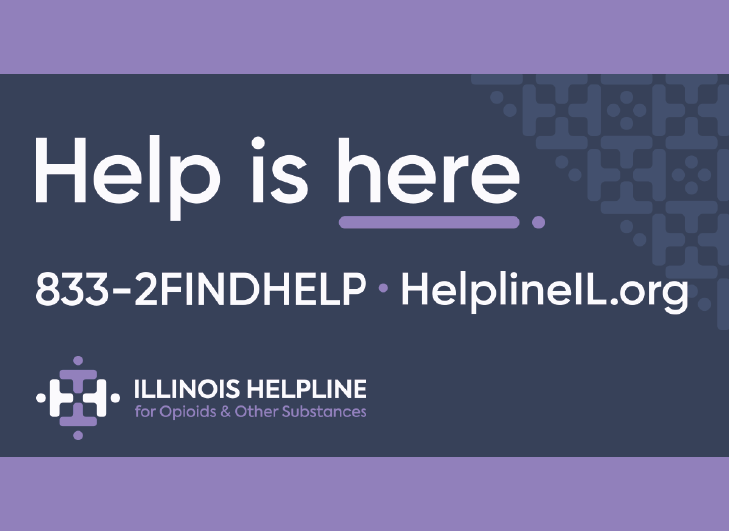 Although the incidents were outside of Illinois, Illinois public health experts urged prompt attention be paid to the infectious disease. Medical care providers reported the infectious bacterium in California, Massachusetts, and Oregon. Meningitis B is a disease that is particularly prone to outbreaks on college and university campuses. Although the vaccine for Meningitis B is optional in Illinois, health directors urge healthy Illinoisans, especially persons living in dormitory-style housing units, to get immunized against the disorder. Meningitis can cause neurological complications and, in rare instances, can be fatal. Bicentennial celebration on Monday, December 3. The State of Illinois will celebrate its 200th birthday party at the Aon Grand Ballroom at the tip of Chicago’s Navy Pier. Starting at 7:30 p.m., the party will bring together singers, dancers, and athletes with connections to Illinois for a star-studded celebration of our state’s triumphs and heritage. Colors and trophies will be presented as reminders of the achievements of these men and women on behalf of all Illinoisans. With a focus on entertainment, sports, and life, the event will be a fast-forward way for Illinois celebrants to experience the past two hundred years in the Land of Lincoln.